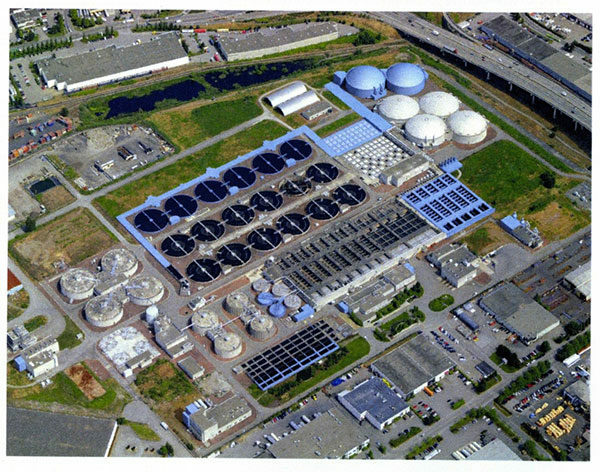 The Annacis Island Wastewater Treatment Plant is one of our region’s largest wastewater treatment facilities. It receives and treats wastewater from 14 municipalities across the Lower Mainland so that it can be safely released back into the Fraser River. Civionic Engineering is providing GSM based vibration monitoring services to this project to control vibration induced influences on existing structures. Metro Vancouver will be increasing the capacity of the current facility to meet the needs of the region’s growing population. These improvements will take place over the next several years and involve a number of different construction projects and a new outfall pipe. These improvements will allow the plant to significantly increase the volume of wastewater that can be treated, continue to manage odour, take advantage of green energy captured on site, and to continue to operate in the event of a major earthquake. There are over 20 projects planned as part of the improvements of the Annacis Island Wastewater Treatment Plant. These projects include new trickling filters, secondary clarifiers and a co-generation facility to make better use of green energy captured on site. The current facility already treats wastewater using primary and secondary treatment technologies, but an expanded facility will ensure that the plant can manage a higher volume of wastewater, continue to keep odour to a minimum and will continue to operate in the event of a major earthquake. Most of the construction will take place on the existing site, however the new outfall will involve the construction of a tunnel 40 meters below the surface that will extend from the plant to the Fraser River.